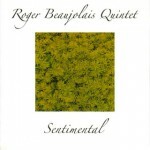 My first quintet album of straight-ahead jazz was released November 1999. 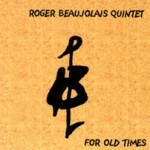 Called “For Old Times” it features some original tunes as well as some jazz standards & some obscure tunes by Grant Green, Bobby Hutcherson & Wayne Shorter. 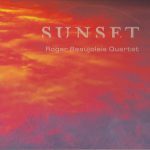 The band features some of the UK’s top jazz players – Mark Lockheart on tenor & soprano sax, Robin Aspland on piano, Simon Thorpe on double bass & Winston Clifford on drums. 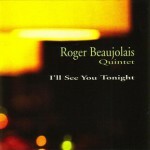 Compositions by Roger Beaujolais unless stated. Released 2008 on StayTuned Records. Catalogue No. ST 007. 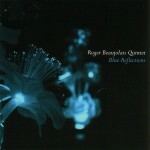 [Roger's] own compositions, some cast in the form of duets with other instruments and each one has a distinct mood and character.